The Big Glasgow Comic Page is coming to Airdrie for the first time! There will be over 40 exhibitors and traders selling comics, graphic novels, crafts, art, Funko Pop figures and much more! TRADER STALLS – Selling everything from big brand toys, comics, collectables and original artworks that you won’t find anywhere else. COSPLAY & MASQUERADES – There will be plenty of opportunities to have your photo taken with some exciting characters that will be in attendance. Or maybe you want to come along as one of the characters? If that’s the case make sure you enter our Cosplay Masquerade competition with some amazing prizes up for grabs. CHILDREN’S ACTIVITIES – Our events cater for all ages with plenty to do for younger children including face painting and balloon art. SPECIAL GUESTS – Our events are often attended by special guests from the world of comic books, TV and film. For more details on any guests please follow us on Facebook to stay up to date. 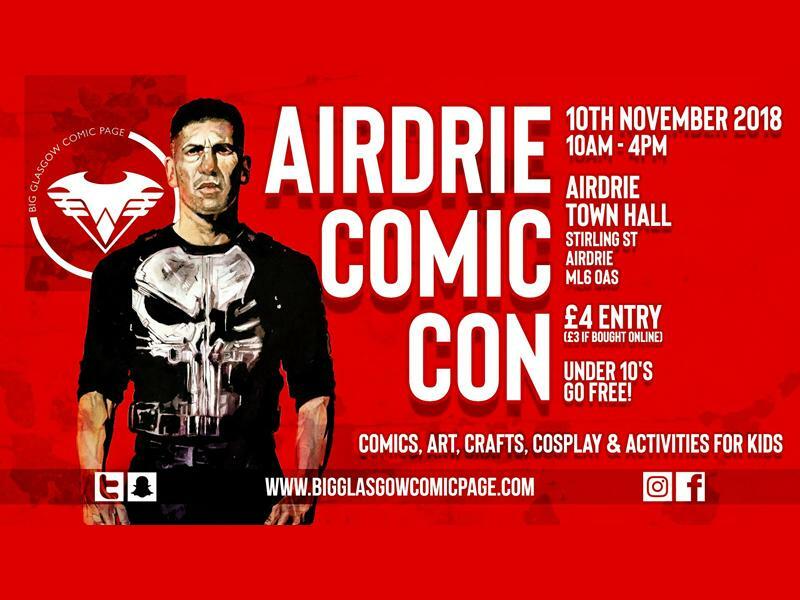 While we take every opportunity to ensure the details for Airdrie Comic Con - CANCELLED are accurate, we always advise that you contact the event organiser before setting out for the event to avoid disapointment.